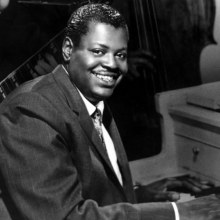 The Canadian pianist Oscar Peterson was one of the few pure jazz instrumentalists to become a household name. Others got there by making singing a large part of their act. Peterson won fame by emulating the baroque sophistication of his idol, Art Tatum, but adding intensity and speed. 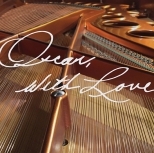 No other pianist has matched his dazzling technique, or the distinguished list of artists with whom he played. To mark the tenth anniversary of Peterson’s death a number of jazz pianists were asked to record his compositions — as well as pieces linked to him — at his home studio on his Bösendorfer Imperial piano (yes, that’s how successful he was). It casts a rare spotlight on Peterson the writer, showing him to be more of a romantic balladeer than his reputation for high-octane swinging might suggest. Michel Legrand takes Harcourt Nights through a range of styles, from boogie-woogie to bossa nova, yet states the rhapsodic theme with bittersweet passion. His playing on the Gershwin-esque Dream of Me is boldly bluesy with an inventive left hand. The soul-jazz veteran Ramsey Lewis takes a similarly eclectic approach to Laurentide Waltz with hesitant passages blossoming into delirious outbursts.